The People’s Tree, also known as the Capitol Christmas Tree, begins its national tour Nov. 5. The 2011 tree, a 60-foot red fir, is a gift from California and will be placed on the Western lawn of the Capitol Building in Washington, D.C.
Amramp, America’s leading wheelchair ramp and mobility solution provider, is proud to be a part of this year’s 20-stop tour, enabling everyone of all abilities can participate in this national tradition. Amramp Northern California and Amramp Los Angeles owner Brett McKee trained U.S. Forestry personnel to set up and break down the two patent-pending steel-mesh platforms and two 18-foot ramp system at each stop. Using the Amramp ramp system, visitors will find just the right spot to hang their ornament or place a note on the tree. The Capitol Tree events will be fully accessible and ADA-compliant. Every year since 1970, a different U.S. state has been chosen to provide the Capitol Christmas Tree to be placed on the Western lawn of the Capitol Building in Washington, D.C. California has the honors to present the 2011 Capitol Christmas Tree. The United States Forestry Division carefully chooses candidates from a national forest within that state, and the Architect of the Capitol then picks the “winner” from the group. The California tree, a 60-foot red fir, will be cut on Nov. 5 from Stanislaus National Forest near Sonora, California, along the Sierra Nevada range. From there, a national tour is scheduled to start on Nov. 8. Along the 20-stop route, residents are invited to participate in a special tradition: Place a small ornament or a note on the tree. The Capitol Tree Celebration began in 1964, with a Douglas fir that was actually planted on the grounds of the Capitol Building. The tree suffered root system damage during a storm in 1967 and later died. After a few years of Maryland trees, the decision was made to bring in a new tree from a different state each year, as a gift from that state. 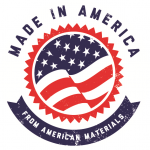 For more about Amramp’s Made-in-the-U.S.A products and free on-site estimates, please contact Amramp’s National Call Center at 888-715-7598.